NIH to end invasive chimpanzee research. Chimpanzees are our closest living relatives, sharing about 99 percent of our DNA. To many, that makes these animals especially worthy of protecting. It also makes them useful lab subjects. Since the 1930s, scientists in America have been experimenting on chimpanzees using invasive research, some of which has led to new medicines for preventing life-threatening and debilitating diseases. But no longer: The National Institutes of Health announced on Wednesday that it is ending its era of controversial chimpanzee research for good. In an announcement that animal rights groups including People for the Ethical Treatment of Animals called a “hard-won victory,” the agency said that the final 50 chimps the NIH had been keeping on hand for biomedical research would be sent to retirement in chimp sanctuaries. Thanks to advances in research tools and technologies, the contributions and sacrifices of these animals are no longer necessary, said Francis Collins, director of the NIH. “We have moved on beyond the time when research on chimpanzees was considered essential,” Collins said in a news briefing. “It is time to acknowledge that there is no further justification for the 50 chimpanzees to continue to be kept available for invasive biomedical research,” he also told NIH administrators, according to the Washington Post. The decision was a long time coming. The NIH has been phasing out funding and use of research chimps since before 2013, as Slate reported on last year. 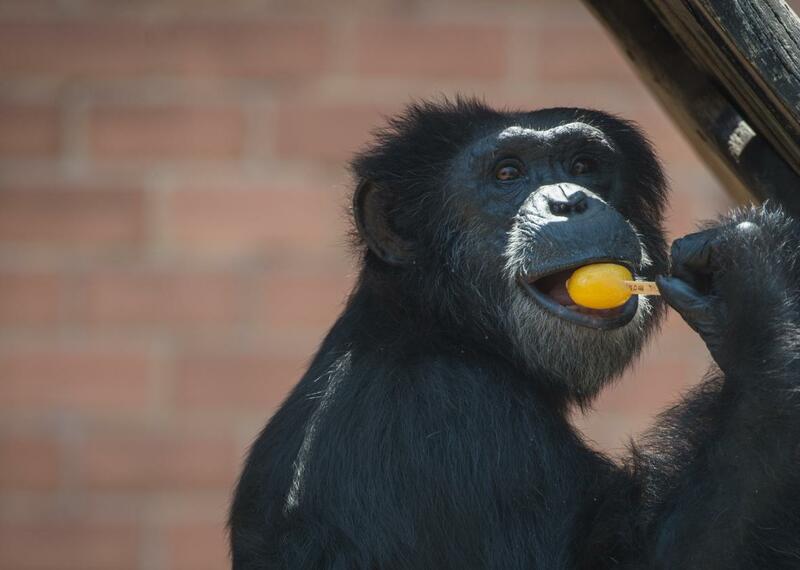 As a result, at least 184 former research chimps have already been “retired,” meaning that they now live in a forested sanctuary in Keithville, Louisiana, known as Chimp Haven. As of 2014, Chimp Haven, which was founded in 2003 by former lab caregivers, housed 200 chimps at a cost of $2 million a year. As a result, the NIH decided to place restrictions on chimp research and to reduce the number of chimps held for research. Chimp use was to be limited “to studies that provide otherwise unattainable insights into normal and abnormal behavior, mental health, emotion, or cognition” while seeking to minimize pain and distress to the animals, the committee said. Then, this June, all chimpanzees—captive and wild—were officially designated as endangered under the Endangered Species Act. Due to habitat loss and poaching, total chimp numbers had fallen from about 1 million worldwide in the 1900s to between 172,000 and 300,000 early this year, according to the Jane Goodall Institute. Between their endangered status and the lack of scientific necessity of performing this kind of research on them, the decision to end invasive research on chimps altogether was “inescapable,” Collins said at the news briefing. Chimp Haven will be able to take about half of the 50 remaining chimps being retired immediately, but will need to build the infrastructure to take in the other 25 by early 2016, reports the New York Times. “The NIH plans to move chimps together based on their family and social groups, taking into consideration their age and health,” according to the Times. Enjoy your retirement, chimps!